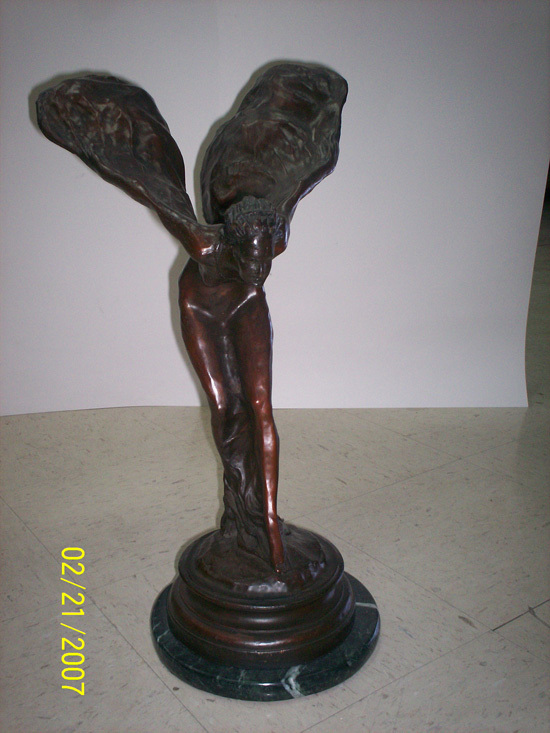 This is a Rolls Royce “Spirit of Ecstasy” in bronze. 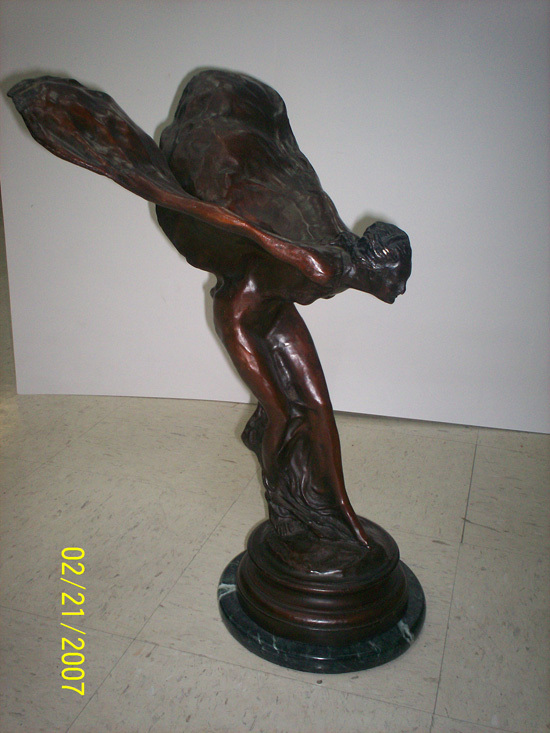 This rare and big bronze is 2-feet tall and was a Rolls Royce dealer showroom display. 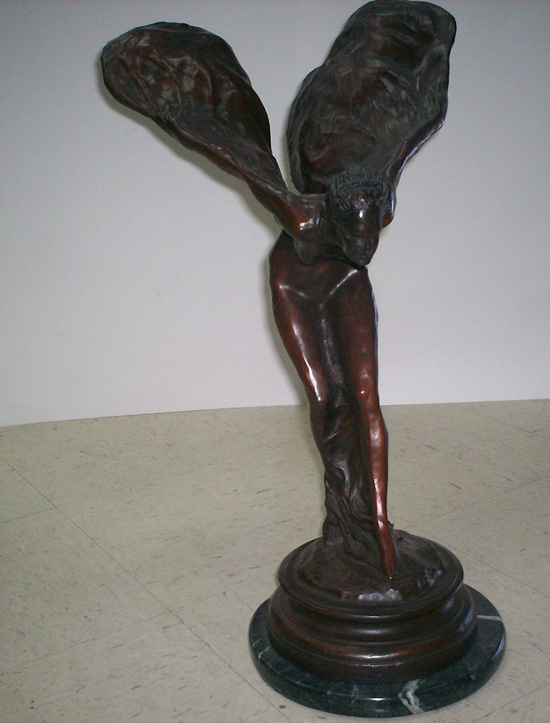 It is mounted on a marble base, and based on the original Charles Sykes Design.